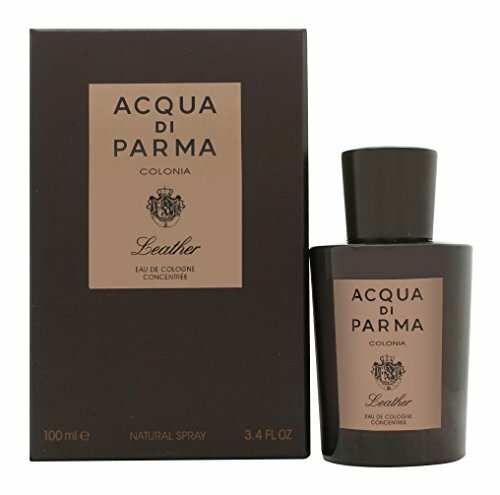 Acqua Di Parma Colonia Leather 3.4 oz. Guys love leather-in cars, lounges, jackets, shoes and especially now in cologne. 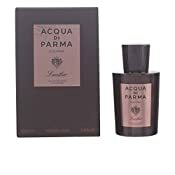 Acqua Di Parma bottles the essence of leather with an even more luxurious and stunning follow-up to the uber-popular Oud highlighting new and exciting elements. The dynamite potion pairs the signature Citrus DNA of the Colonia fragrances with an amazing rich leather, making it stand out from even the standouts. 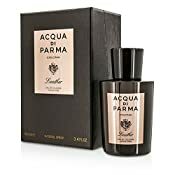 Fragrance begins with sparkling citrus top notes of Brazilian Orange and Sicilian Lime to reveal a warm heart of Rose and Paraguayan Petit grain. It then twists its way with an incredible finish via the richness of leather, Cedar Atlas and Parguayan Guaic woods to leave its lasting mark. If you want to try the best, don't look any further. Size: 3.4 oz. Top Notes: Brazilian Orange and Sicilian Lime Middle Notes: Rose and Petitgrain Bottom Notes: Leather, Cedar and Paraguayan Guiac Wood To Use: Spray onto pulse points of wrists, neck and behind ears.